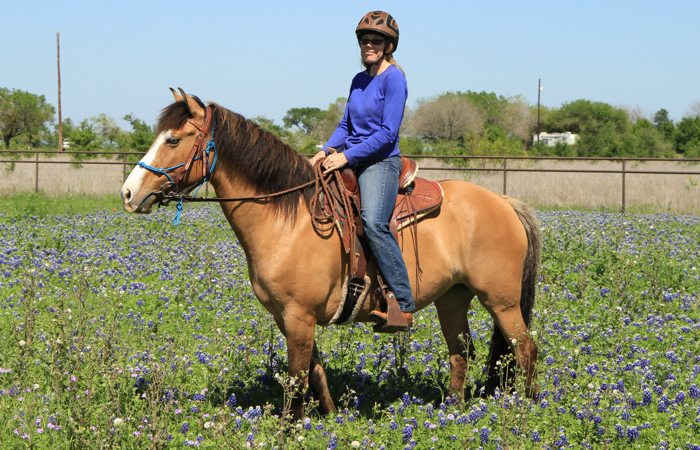 Willis Creek Park Equestrian trailhead is full of Bluebonnets in the spring, making for great picture opportunities. 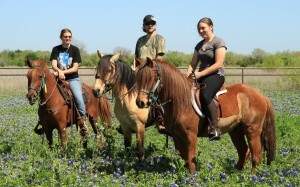 This photo of American Indian/Colonial Spanish horses and their riders was taken on March 24th, 2012. 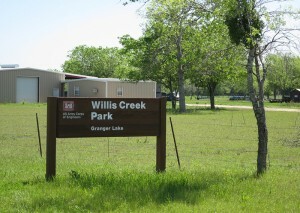 Willis Creek Park is located between Taylor and Granger, TX off of HWY 95. From highway 95, just outside of Granger, turn east onto County Road 346, this road dead ends into 348. Turn right on 348. 348 will then make a 90 degree turn to the left. Continue on 348 to the park entrance (you will see signs). Once entering the park continue forward a short ways. The Equestrian area is on the right, across the street from the restroom facility and RV camping area. 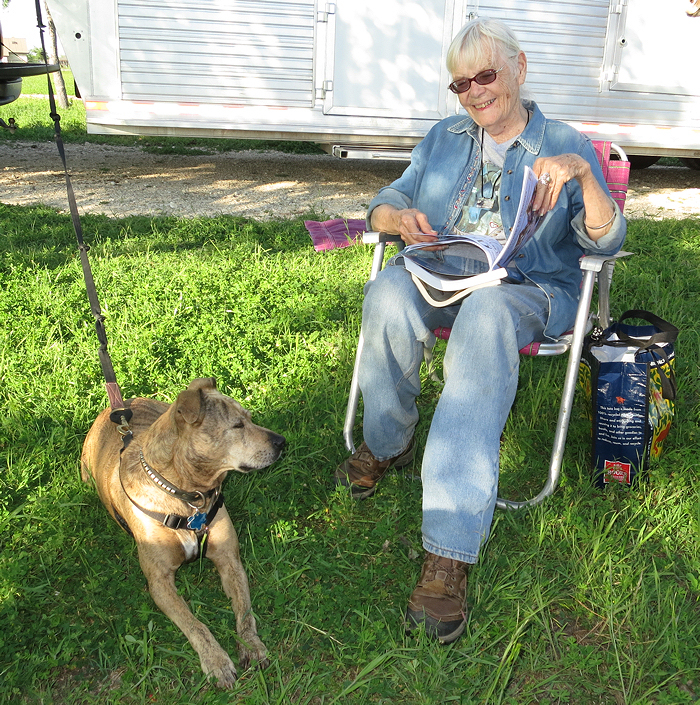 Camping with your horse at Willis Creek Park is allowed but the horses must remain in the Equestrian area, which is primitive camping. 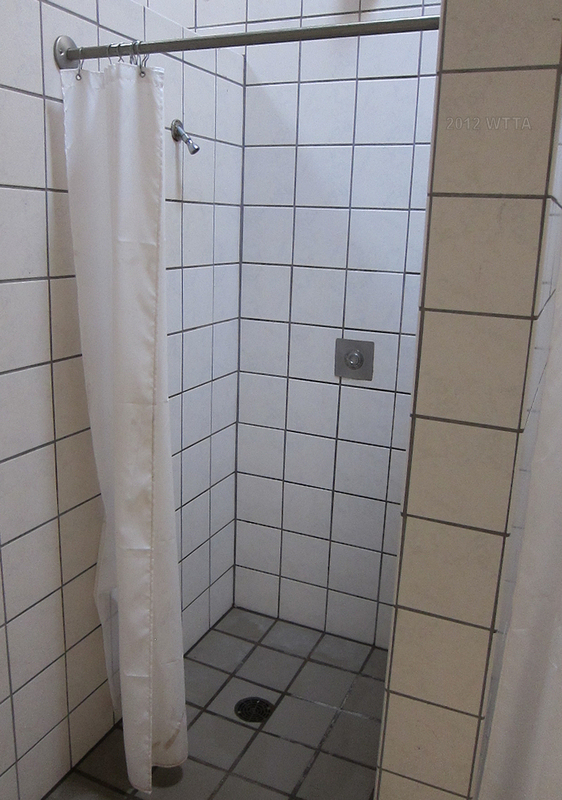 There are no electrical or water hook ups, but there is running water. Camping reservations may be made through the National Reservation System (NRRS) by calling 4 days in advance to 1-877-444-6777 or on the internet at www.reserveusa.com . $10.00 a night for camping per vehicle in the Equestrian trail head/area. 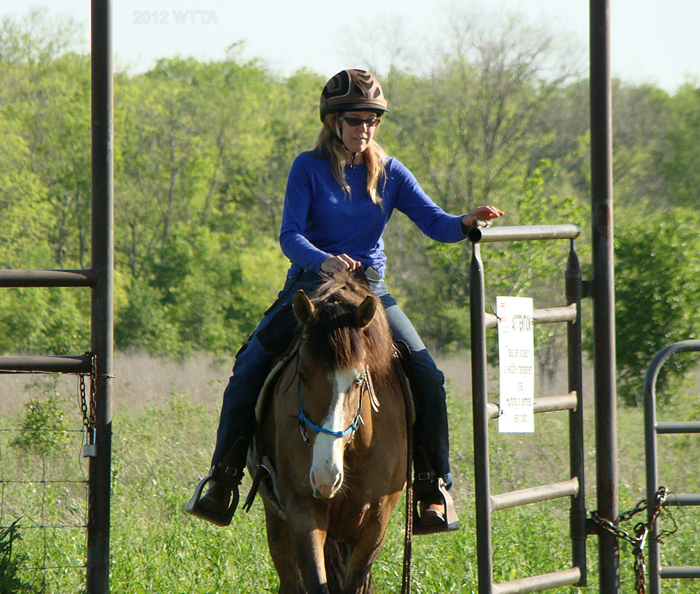 Ten horse pens are available for use at the trailhead. The pens are located in pairs with two pens being side by side sharing one panel. Each pair of pens are slightly spaced apart from each other. 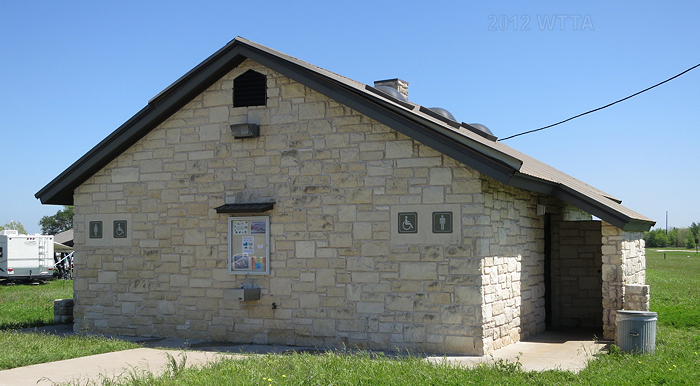 This trailhead has several drive through gravel parking areas for trailers making it easy to park and exit the area. You can also park on the grass. There are at least two water faucets which includes one wash rack. There is not a great deal of shade, but some can be found. This area has no electricity and no bathroom facilities. 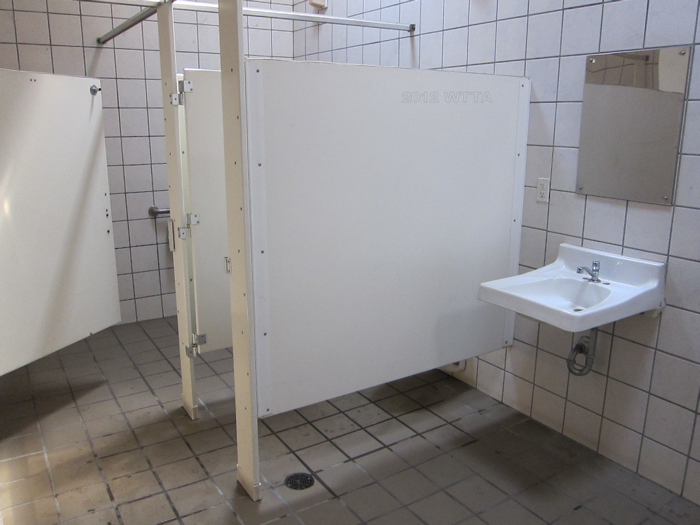 However, just a very short distance across the street is a nice bathroom facility with mens and women’s toilets and showers. AT&T cell phone reception was very good at this park. Hunting is allowed year round at Granger Lake in the Wildlife Management Areas, but not in the park areas or equestrian trails. Sometimes the park is closed for scheduled hunt days, so be sure to call before you hall. 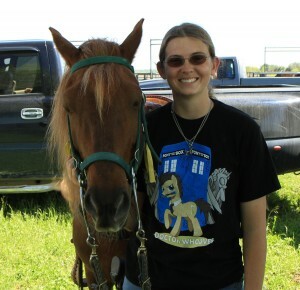 A negative current Coggins for your horse will be requested at the gate house along with the entrance fee. Trail maps are available at the entrance gate house. The pastoral terrain is mostly flat with very few dips or inclines. The ground is black prairie land with few rocks, my horse was barefoot and had no issues. 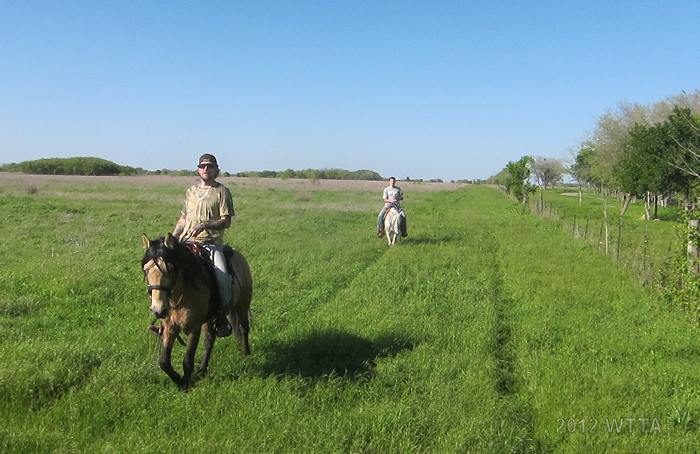 Several of the trails were mowed paths in wide open fields. 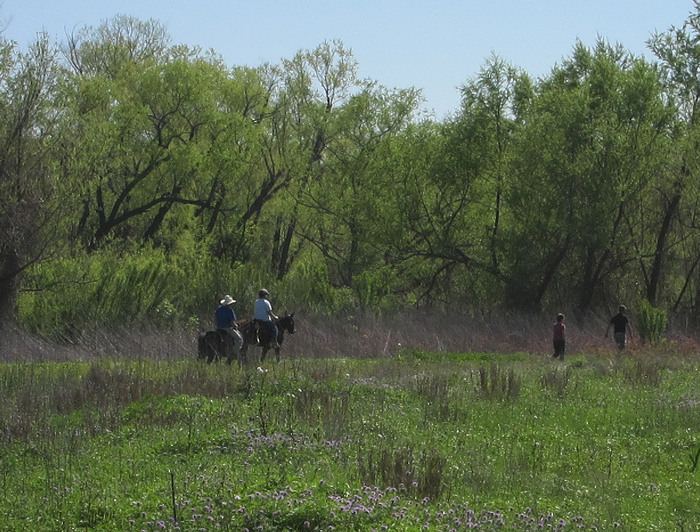 Riding along the Yellow Trail near the Willis Creek where it feeds into Granger Lake. Description: Willis Creek Park at Granger Lake is managed by the U.S. Army Corps of Engineers. The dam was built to form this man-made lake in 1980. The lake is fed by Willis Creek and the San Gabriel River. 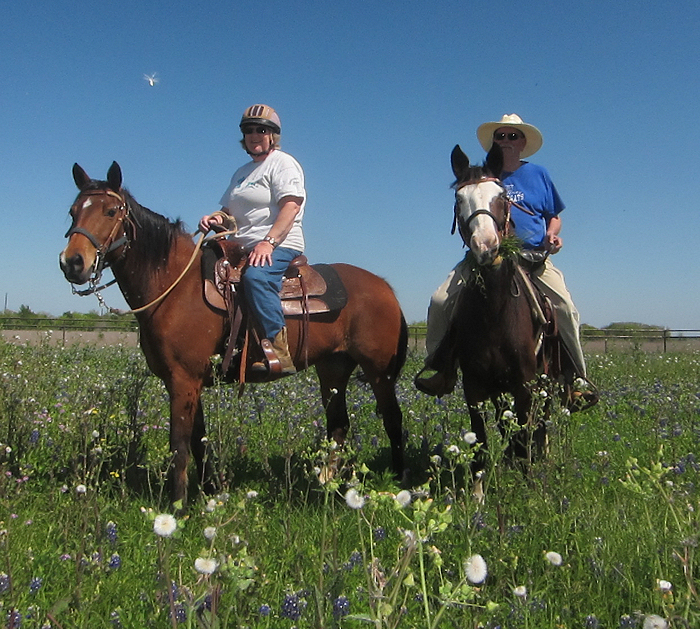 Texas Equestrian Trail Riders Association (TETRA) has helped establish and maintain these trails, thanks TETRA! 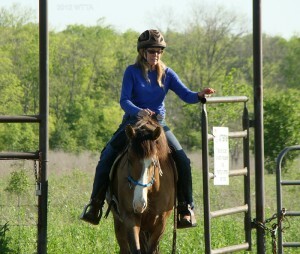 The trails at Willis Creek Park offer nice open easy mostly flat ground for riding. There are no real difficult areas as far as the terrain is concerned. The ground is mostly flat black prairie land with few rocks. Several of the trails are mowed paths in wide open fields. 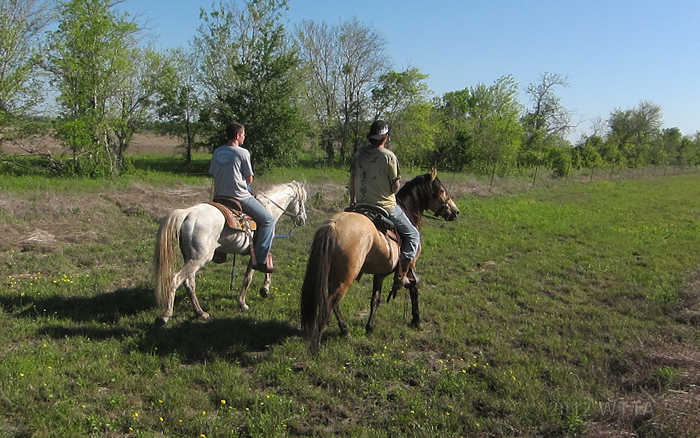 About 18 miles of trails are shared by equestrians, hikers, and cyclists. 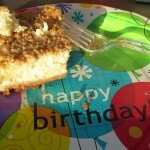 I had the pleasure of visiting Willis Creek on my birthday in late March of 2012. This turned out to be a great location to meet with fellow riders, friends, and family. In my opinion there is no better way to bring in a new year of life than on the trail engulfed in the miracle of nature. 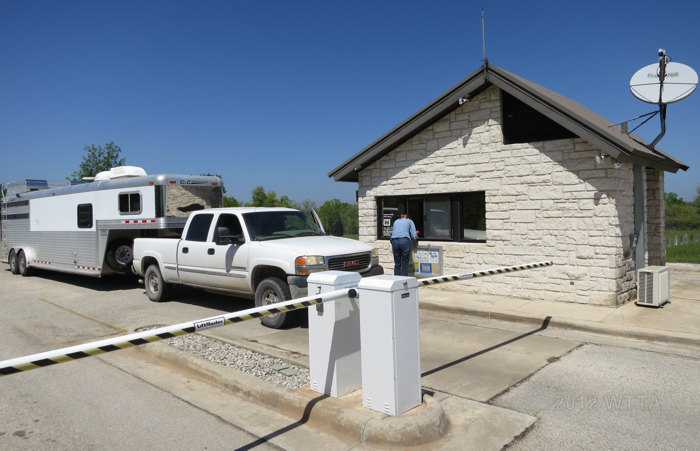 When entering the park you must go through the gate house entrance; this is where you will need to show your negative Coggins, pick up a map, and pay your fees ($4 for the day or $10 for camping overnight). 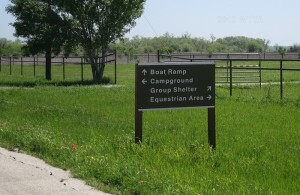 Then travel on the main road just a short distance to the Equestrian Area, which is on the right and marked by a sign. 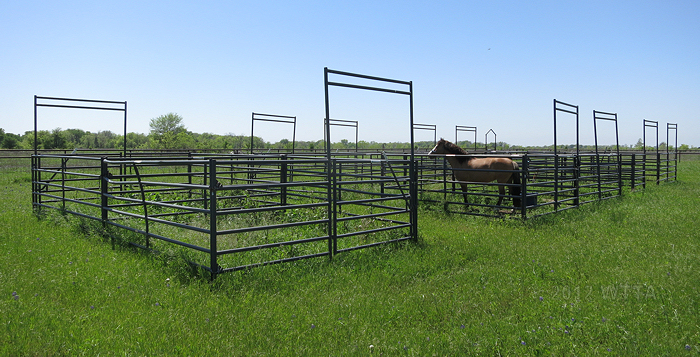 The Equestrian area is enclosed by a fence. 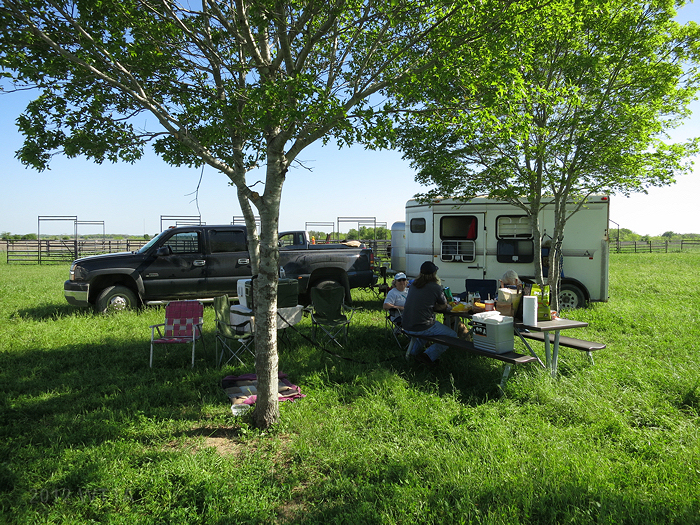 Across the main park road opposite the Equestrian area is a a busy RV camping area that has electric/water hook ups, awnings, picnic tables, and a restroom/shower facility. The RV camping site by the lake shore and north of the park road. 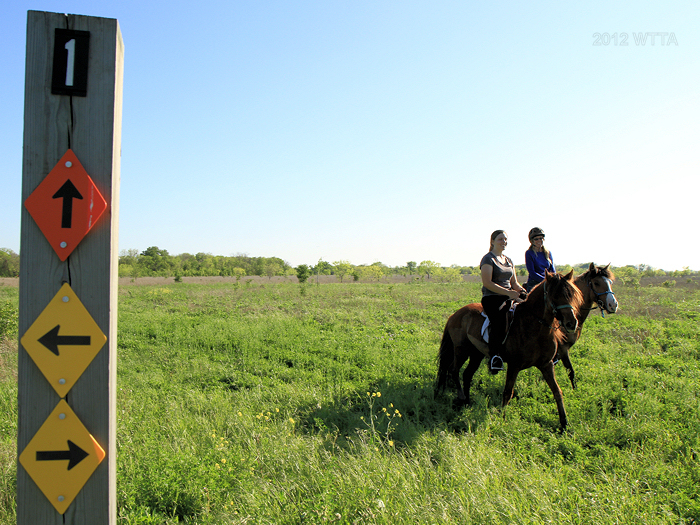 Horses are not allowed here or outside of the designated equestrian area and trails. 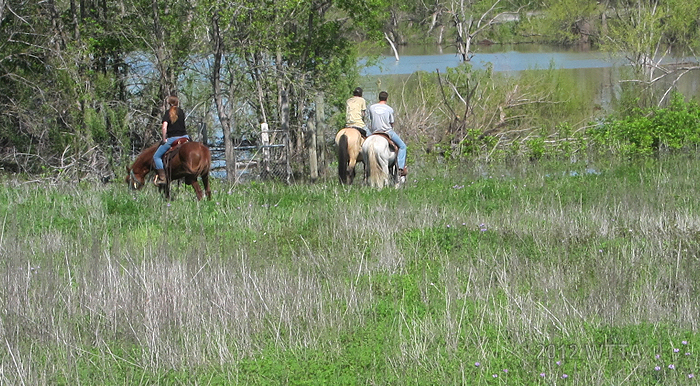 No views or access to Granger Lake are available from the Equestrian trail head. 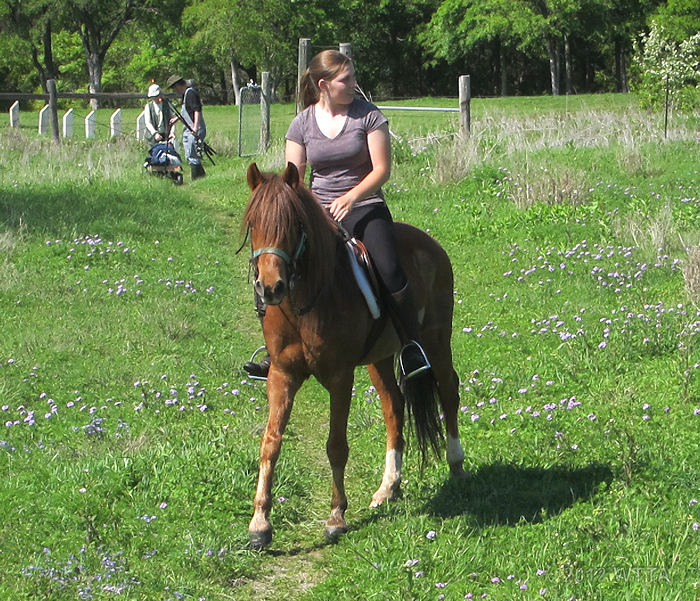 Despite that, the trail head is nice and carpeted with Bluebonnets thanks to all the recent rains. 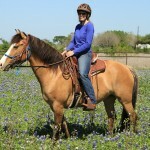 What a pleasant spring birthday present, Bluebonnets everywhere! Of course this made for great photo ops. Everyone has to get their picture taken in a field of Bluebonnets with their horse, dog, family, and/or friends; it is an annual spring Texas tradition. 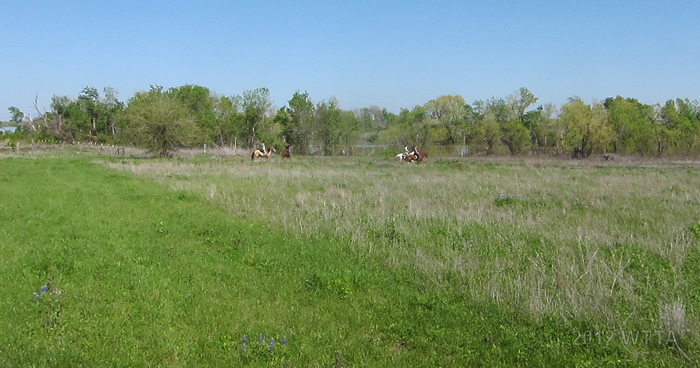 horses at this spot and see a small section of the lake. 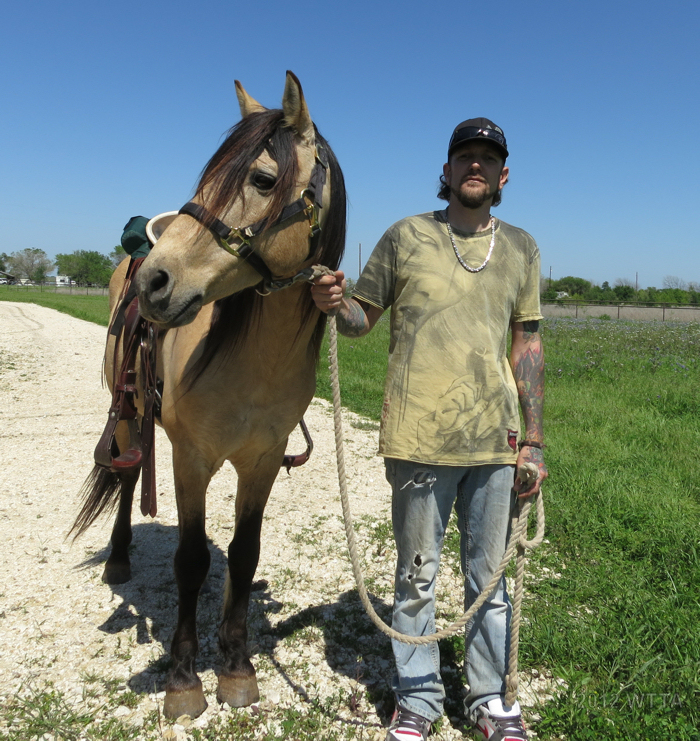 I did not cover all of the trails, but it seemed most if not all of the trails we rode did not provide access or views of the lake. However, when looking at the map it seems like the white, red, and a section of the blue trail might provide lake views. 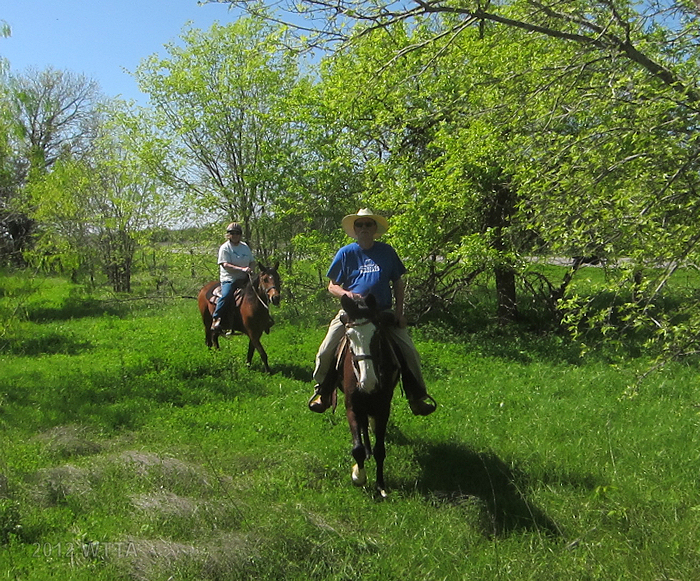 Due to the recent rains several spots in the trail were saturated with water causing us to slow our pace but also giving the horses plenty of opportunities to drink. 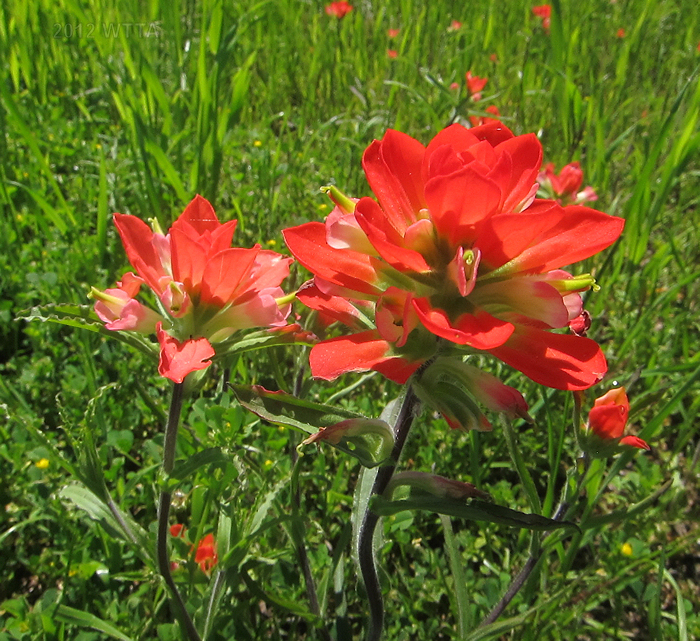 Everything was amazingly green and I enjoyed the big open pastoral views of tall grass and Texas wildflowers. The trails were mostly flat and not difficult. 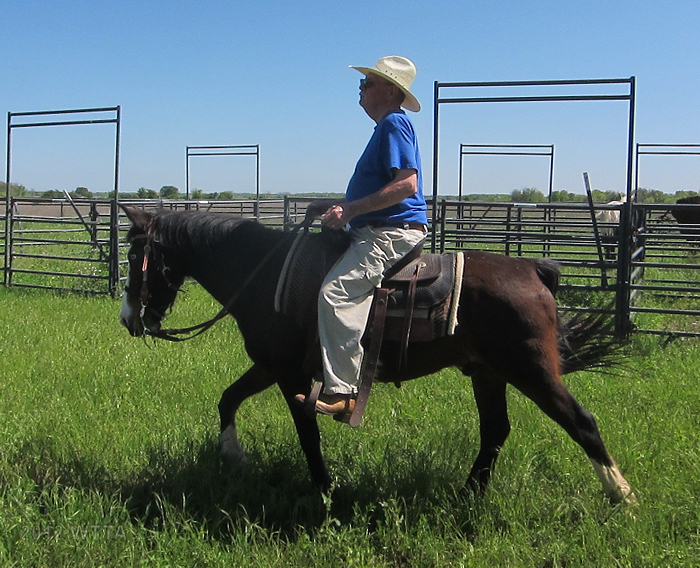 Due to the easy terrain this is a great place to do some long distance trotting or move out at a faster pace, as the footing is good and you can see far ahead. Traffic on the trails from hikers was mainly close to the Equestrian trailhead off the yellow trail. We came across a couple on the Yellow Trail eager to catch some crappie or white bass hauling their wagon of fishing gear down the trail. However, further away from the trail head there was no other trail traffic. Once getting back to the trail head I was able to rinse Angel off and put her in a comfortable pen to enjoy some hay and water. 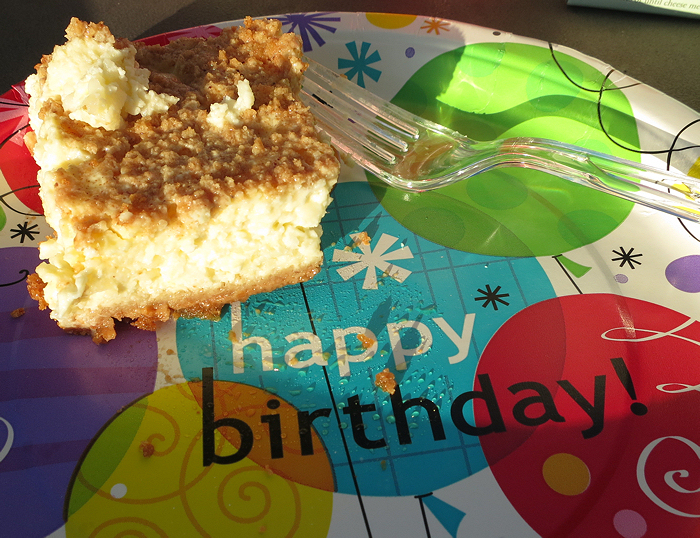 I celebrated my big day by consuming a delicious lunch and homemade cheesecake (thanks Mom & Dad) in the company of my sweet husband, family, good friends, and fellow riders. I could not have asked for a more beautiful picture perfect day! 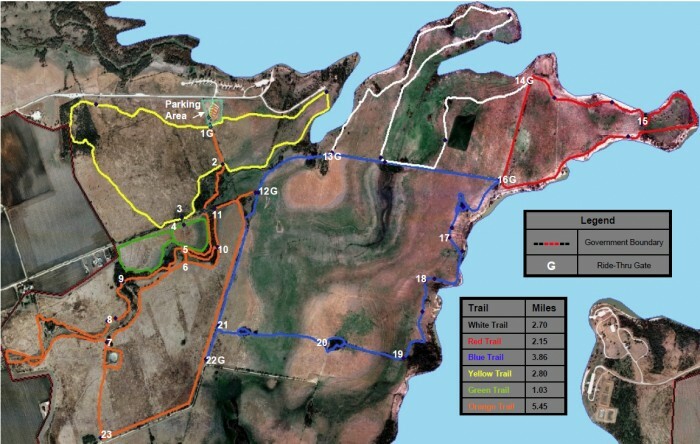 If you would like to share more information about these trails don’t hesitate to send me an e-mail. I’ve only been here once and was not able to cover all the trails, but I hope to change that. 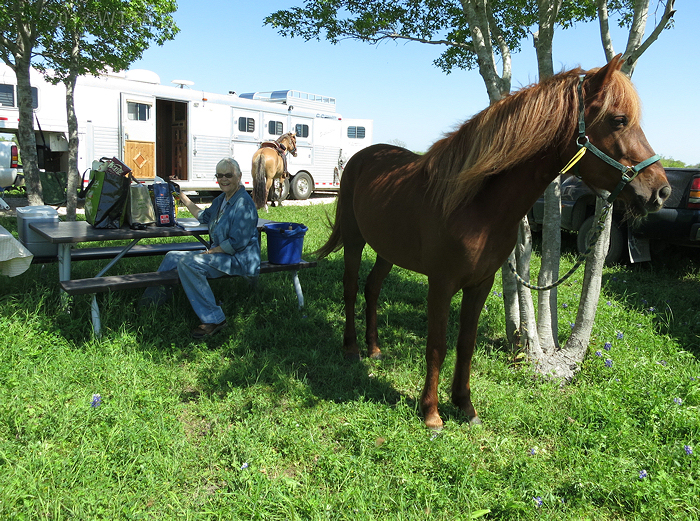 My parents, Gary and Karen Nelis, enjoying their American Indian Horses, Heyoka and Mystic. Willis Creek feeding into the lake off the Yellow Trail.